From the outside, this teeny-tiny trailer, dubbed Miss Maizy, doesn't look like much. 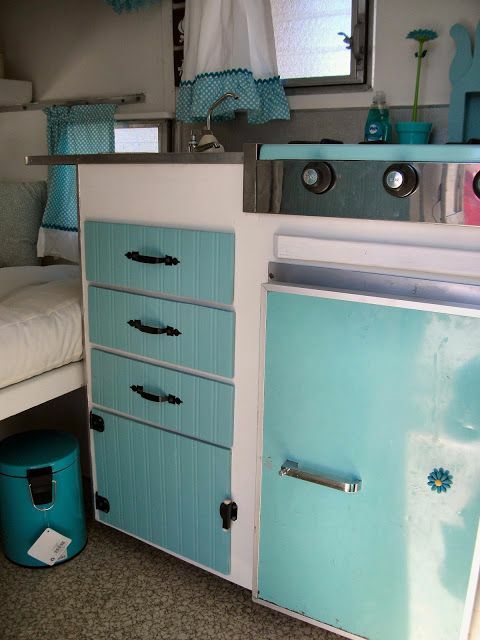 But once you step inside, you're welcomed home to a sea of blue and vintage design that will melt your heart. 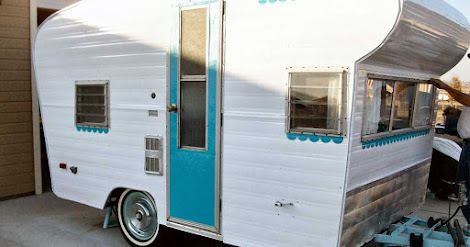 Playing on the vintage vibe this old trailer boasts, Tania — from Little Vintage Cottage — has revamped the space and surely made it look better than it did back in the day. 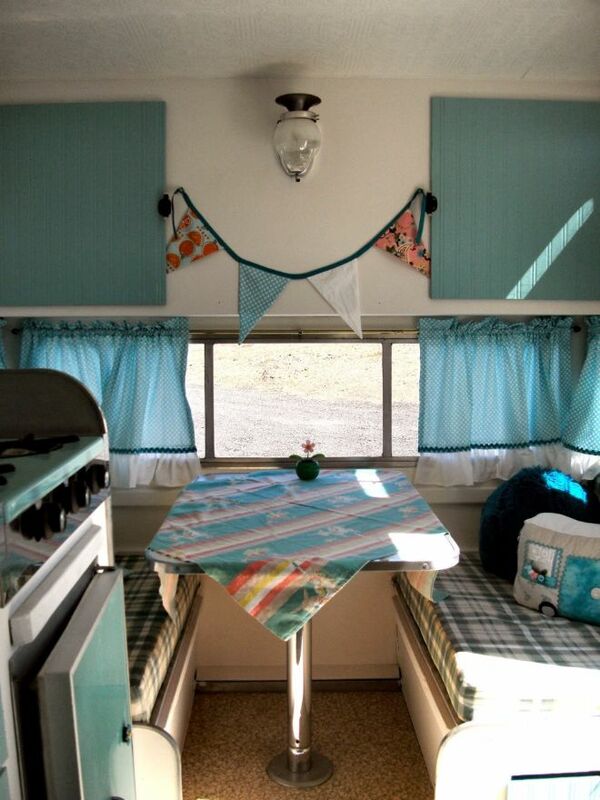 While this space is extremely small, it does pack a kitchen, dinette and sleeping space all inside. You may be wondering how Tania did it, so take a look and explore all this tiny home has to offer. From the outside, you can see just how small this trailer is, but you also get a hint at the color combination of the inside. 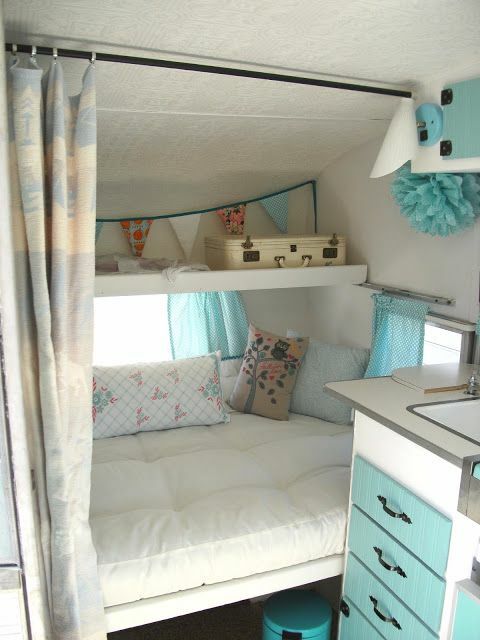 It may be compact, but it's fully functional and adorable. With three burners, a sink and those blue cabinets, this little area is light and bright and ready for some great cooking. 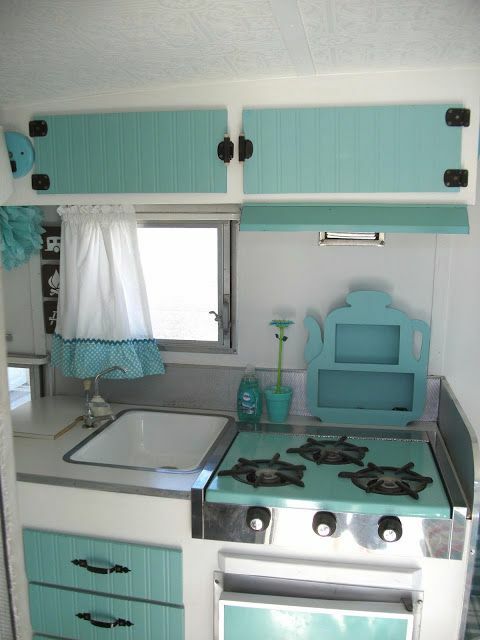 The cabinets even match the fridge! Having such a small space means you have to be conscious about your design choices, and picking such bright and clean colors only helps this space feel bigger. During the day, this dinette table is an ample eating space — and even desk area. But in the evening, you pull out the bed, slide over the curtain and tuck yourself in for the night surrounded by sky blue and pretty little details.